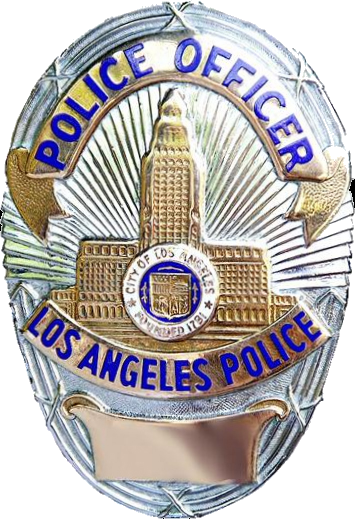 Thanks to their proximity to Hollywood, the Los Angeles Police Department has been featured in more films and television than any other law enforcement agency. As everything from hero to villain in TV and movies, LAPD is as much a part of the pop culture landscape as the iconic Hollywood sign. The LAPD badge is nearly instantly recognizable, but today we’re going to look at the interesting history of LAPD’s firearms. Los Angeles endured a considerable amount of time in the late 1800s without any form of official police. The department that would eventually grow into LAPD found its roots in 1876, when the Board of Police Commissioners selected Jacob T. Gerkins as Chief. Chief Gerkins brought with him the first regulation uniform for the department, taking what had been a loosely affiliated group and forming them into a real agency. There’s no record of an issued firearm at the time, but it’s not unreasonable to assume that a considerable number of Colt Peacemakers rode in holsters during this violent period in LA’s history. From the 1900s to the 1930s LAPD survived without a standardized sidearm for their department, as officers were allowed to carry a wide variety of guns. .45 Colt revolvers were authorized, as the department still was very much an agency of wild west law enforcement. It’s wasn’t until after World War II, with officers returning to duty from overseas that LAPD issued its first standard revolver, the S&W Model 10. Cadets at the police academy were issued a Model 10, and upon graduation had the option to keep that as an issue gun, purchase it from the department, or purchase their own revolver so long as it was a revolver chambered in .38 Special that had a 4 inch or 6 inch barrel. During the 50s and 60s, under the leadership of Chief Parker, the public image of LAPD changed drastically from a corrupt department to the model of police professionalism. TV shows like Dragnet and Adam-12 greatly influenced the public image of LAPD as a model department; the guns carried in these shows accurately reflected the pistols issued to LAPD. Again, LAPD kept with its policy of allowing officers to purchase individual weapons as long as they met the department’s standards. The standard issue gun was the Smith & Wesson K-38 Combat Masterpiece, with either a four or six inch barrel. The K-38 would stay as the standard gun up until it was replaced by the Beretta 92 in the 80s. However, during the mid 70s, LAPD authorized officers to carry revolvers chambered in .357 Magnum so long as they were loaded with .38 Special ammo. Colt Pythons became status symbols, and among individual officer purchases, Colt Troopers and Pythons were very popular. The adoption of the Beretta 92 in the 1980s signaled the end of the great wheelgun era of LA law enforcement. For a brief period, all new recruits were required to carry the Beretta, and there was no leeway for individual officer weapons. This was loosened somewhat in the 90s when the S&W 5906 was accepted as a substitute standard weapon, and further loosened in 1997 after the North Hollywood Shootout when 3rd Gen Smith & Wesson semi-autos in .45 ACP were authorized out of a perceived need for more officer firepower. This status quo held until 2002, when new Chief William Bratton was appointed. Bratton had previously led agencies that authorized the use of Glock pistols, and instituted policy allowing his officers to carry Glocks on duty. This doesn’t include various 1911s that are authorized for special units such as SWAT or SIS; I can only imagine what a headache all these different guns are for unit armorers within LAPD. Regardless, LAPD’s history of firearms has been as colorful and compelling a story as the history of the department itself. From wild-west style shootouts with single action Colt revolvers to a modern LE agency with Glocks and weapon-mounted lights, the LAPD’s evolution of issued firearms parallels the evolution of the department itself. 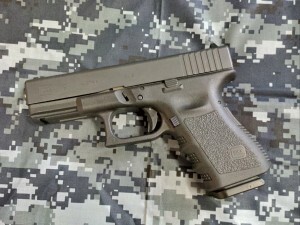 I had read the Glock 30S was developed with input from SIS also.